Ex-Mag Olivier Bernard reveals his ‘drastic’ idea to kick racism out of football – NUFC blog – Newcastle United blog – NUFC Fixtures, News and Forum. Former Newcastle full-back Olivier Bernard believes clubs should be deducted points if their fans are guilty of racism – even suggesting that teams should be ‘dissolved’ if they are guilty of repeat offences. 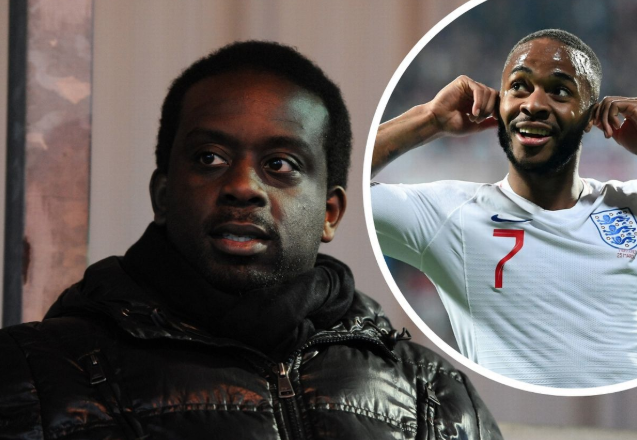 This comes following England’s 5-1 win in Montenegro on Monday night, a Euro 2020 Qualifier that was overshadowed by racist chants directed towards both Raheem Sterling and Danny Rose. “I think the club should be taking responsibility for it. Yes, I believe there should be points deducted. “I believe there should be if it’s happening more than once throughout the season, why not dissolve the club? “That’s drastic, that’s me being very extreme. But until we do something to hurt people, I believe we will still be with racism. Former footballer Olivier Bernard says it's "drastic" but if there are multiple instances of racist abuse in football why not "dissolve" the club involved? As a player, you shouldn’t be worried about going to a ground and being racially abused – but the reality is that this is happening far too often. Tackling racism in society may be the key before we start looking at football, but there’s no doubt in my mind that the penalties must be much more severe for both the fans and club’s guilty of such disgraceful abuse. I saw some of the difficult post-match interviews both Raheem Sterling and young Callum Hudson-Odoi had to deal with following Monday’s game and take my hat off to them for the way in which they dealt with such an issue – but this shouldn’t have to happen. It was Hudson-Odoi’s first start for England – a game in which he impressed and bagged an assist – yet, as a young 18-year-old, he’s speaking about racial abuse after the game. It’s time to clamp down on those being racist – both internationally and in our own country. Full solutions will take time and education, but it’s time for both the FA and UEFA to set severe punishments for anyone found guilty. This can not continue in the 21st century. Sunderland fans embarrass themselves ahead of Sunday’s trip to Wembley – This is unbelievable..